Over at Marcelo Zuniga's YouTube channel one can find many Star Wars clips, but earlier this year he posted a four-video series comparing the changes to the original trilogy over the years. The most infamous of these changes came when George Lucas decided to re-release the original trilogy in theaters on the 20th anniversary of A New Hope in 1997. It is reported that Lucas spent $10 million to rework his original 1977 film, which was roughly what it cost to make the film originally. $3 million of that budget was spent on the audio track for the re-worked special edition alone. 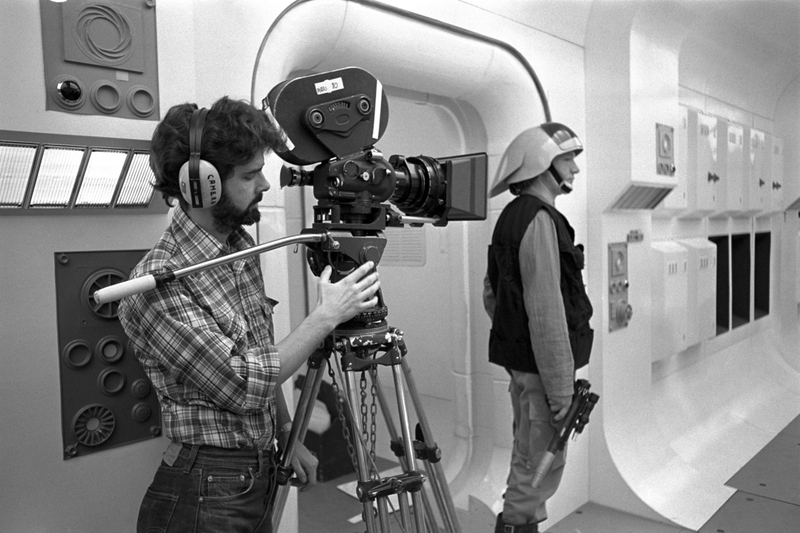 Lucas also spent $2.5 million each on the changes made to The Empire Strikes Back and Return of the Jedi. I came across these videos while skimming through the news on Collider and couldn't help but to take a minute (or an hour) to watch them. The fascinating insight they provide growing with each video was expectedly entrancing. As I was allowed a glimpse at not only the added CGI scenes and digital effects that would amp up the scope of many shots it became the detail with which Lucas clearly approached these special editions that became most striking. There was much he couldn't accomplish in 1977 and so in 1997, with the advancements in technology his vision could be rendered proper. It also didn't hurt to renew the movies in the minds of both older and the younger audiences to prepare them for the release of Star Wars: Episode I The Phantom Menace in 1999. While we all know Lucas got a bit too carried away with the advancements of special effects in his prequel trilogy,a dn despite him likely being frustrated by not being able to create his original vision in 1977, he must be thankful for being born when he was and making the original Star Wars when he did. For, if the technology he so desperately craved was as common as it is now in the seventies, Star Wars would not have been the watershed moment in film history it is considered. Everything is about timing. Lucas introduced us to a galaxy far far away almost forty years ago now and it is easy to wonder if Star Wars would even be a hit were it released today or even further, would it even get made? It is hard for original properties to get financed these days as even Star Wars itself has been mined by Disney to continue making money with a new trilogy that kicks off this December and numerous spin-off films that will fill out the timelines in between each of the core trilogies. Having watched a number of documentaries and behind the scenes bonus materials it has always been clear that Lucas was shooting for a vision no one had been able to capture on film up until that point in time. That the prequel trilogy made his weaknesses as a writer and director all the more apparent might take away from the now dated original trilogy if not for the haze of nostalgia that washes over every frame of those films for most viewers. To an extent, I understand why Lucas hasn't released the original versions though. The '77, '80 and '83 films were the extent of what could be accomplished at that point in time, but as Lucas has been able to update and enhance his original films to better match his original vision he wants that to be the version the vast majority of viewers see. It is hard to fight with that reasoning if not for the selfish fact people want the version that reminds them most of why they initially fell in love with these movies. There was something magic about the inability to make concrete all that one could imagine-probably the fact it left more to the imagination rather than presenting a disappointing interpretation and so Lucas has been deemed a destroyer of dreams for the reason of making his own imagination and interpretations into concrete realities. It's his world, I can't fault him for choosing to do with it as he wishes, but what I've always found fascinating is how he came to put these worlds together in the first place-where he drew his inspiration from. In a video essay by Michael Heilemann that has been labeled a "Kitbashed" or technique used to build a detailed custom model from off-the-shelf model kits we get a cut of Star Wars that highlights the many threads of influence that had to come together in order to form groundbreaking film with a rather simple story about a boy who was looking to make his own path. Any avid Star Wars fan will be able to cite Joseph Campbell's "The Heroes With A Thousand Faces," Akira Kurosawa's The Hidden Forteress or the Flash Gordon serials as the most obvious influences on Lucas's Star Wars films, but Heilemann goes steps and steps further to really expose how every aspect of A New Hope derives from some kind of cultural reference that no doubt brought the young writer/director to terms with his own hodge podge of ideas that resulted in one of the most influential trilogies of all time. Heilemann still calls this a work-in-progress, but also "promises an "exhaustive analysis of the sources of inspiration that led to the creation of Star Wars, covering everything from Lucas's earliest student films, European cinema of the time, westerns (American and Italian), samurai films, war films, comic books, artists, composers, and so on and so forth, up to and including the release of the film that changed the world." Fair warning: the following video is over two hours long, but if you're a fan of Star Wars in any capacity, it is a beyond fascinating watch.